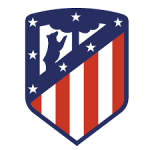 Atletico Madrid is one of the more popular football clubs on the planet and fans can purchase authentic and authorized merchandise and apparel direct from the club’s store online. Visitors to this online storefront will be able to shop exclusive deals and offers not available anywhere else, purchase authentic kit and accessory options directly from the club, and even order autographed merchandise from their favorite players here. Free shipping is available on every purchase of €100 and above, and email newsletter subscribers to the clubs program will get 15% off of their first purchase. Atletico Madrid Sale merchandise is updated on a weekly basis with discount good for anywhere between 10% and 30% off or more.